Sixteen-year-old Hailey Tarbell can't wait for the day she'll leave Gypsum, Missouri, far behind, taking only four-year-old Chub, the developmentally-delayed little boy her cruel drug-dealing grandmother fosters for the state money. But when a freak accident in gym class leaves a girl in critical condition, Hailey feels drawn to lay her hands on the injured girl and an astonishing healing takes place. Before Hailey can understand her new powers, a beautiful stranger shows up...just in time to save her and Chub from hired killers. A desperate race begins, with Hailey as the ultimate prize: there are those who will stop at nothing to harness her gifts to create an undefeatable army of the undead. Now it is up to Hailey and a small but determined family of healers to stand up to the unbelievable and face the unthinkable. Source: Info in the About Banished was taken from the author's website at http://www.sophielittlefield.com/YA/books.php on 12/10/10. As the daughter of a renowned surgeon and a prominent Washington D.C. politician, Clea Raymond has felt the glare of the spotlight her entire life. And though she dreads the paparazzi who track her every move, she herself is a talented photojournalist who takes refuge in a career that allows her to travel to the most exotic parts of the world. But after Clea’s father disappears while on a humanitarian mission, eerie, shadowy images of a strange and beautiful young man begin to appear in Clea’s photos—a man she has never seen in her life. When Clea suddenly encounters this man in person she is stunned—and feels an immediate and powerful connection. As they grow closer, they are drawn deep into the mystery behind her father’s disappearance and discover the centuries-old truth behind their intense bond. Torn by a dangerous love triangle and haunted by a powerful secret that holds their fate, together they race against time to unravel their past in order to save their future—and their lives. 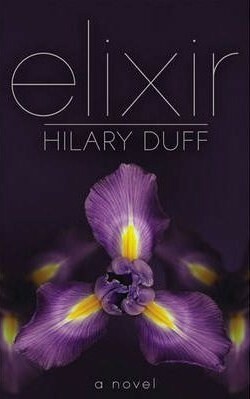 Source: Info in the About Elixir was taken from GoodReads at http://www.goodreads.com/book/show/7844725-elixir on 12/10/10. While visiting the campus of Princeton University, 16-year-old Lily discovers a secret gate to a magical realm and must race against time to save herself, her world, and any hope she has of college admission. 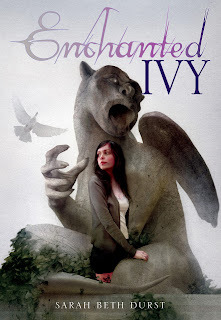 Source: Info in the About Enchanted Ivy was taken from the author's website at http://www.sarahbethdurst.com/EnchantedIvy.htm on 12/10/10. Munir Habib's life has become a nightmare. His tormentor has warned Munir not to report the kidnapping of his family, or else they will pay a terrible price. A friend realizes something is terribly wrong and tells Munir he doesn't have to go to the cops. There's a guy who fixes situations like this-Repairman Jack. Jack is backed into helping Munir despite his ongoing involvement in the cosmic shadow war between the Ally and the Otherness. Or perhaps because of it. He's chafing at being forced into the defensive role of protecting the Lady, the physical embodiment of the consciousness of the planet Earth. Meanwhile, the Septimus Order and the Kickers are seemingly working in concert on a plot to extinguish the Lady and open the way for the Otherness to take over our reality. To top it all off, Dawn Pickering finally goes into labor and delivers a baby she only glimpses as it's whisked away, and is terrified by what she sees. Later she's told the baby died, but she doesn't believe it. Neither does Weezy. Neither does Jack. All these interlocking plots mean doom for humanity. But Jack never gives up or gives in. 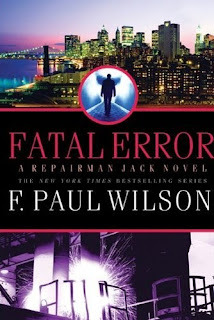 Source: Info in the About Fatal Error was taken from GoodReads at http://www.goodreads.com/book/show/7978457-fatal-error on 12/10/10. 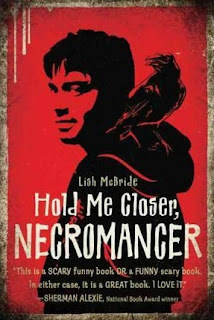 Source: Info in the About Hold Me Closer, Necromancer was taken from GoodReads at http://www.goodreads.com/book/show/8041873-hold-me-closer-necromancer on 12/10/10. The daughter of one of Melnek’s more prominent merchants, Ilse Zhalina has lived most of her life surrounded by the trappings of wealth and privilege. She has wanted for nothing and many would consider her lot a most happy one. But there are dark secrets even in the best of families and Isle and the women in her family have learned that to be beautiful and silent is the best way to survive. However, when Ilse fianlly meets the colleague of her father’s selected to marry her, she realizes that this man would lock in her a gilded cage. In her soul, she knows he is far crueler and more deadly than her father could ever be. Ilse chooses to run from this life. Her choice will have devastating consequences and she will never be the same. But she will meet Raul Kosenmark, a man of mystery who is the master of one of the land’s most notorious pleasure houses…and who is, as Ilse discovers, a puppetmaster of a different sort altogether. Together they will embark on a journey that will reshape their world. Lush fantasy. Wild magic. Political intrigue and the games of seduction and treachery to gain control of a kingdom. PASSION PLAY is all of these and more. It is the journey of a woman who must conquer her passions in order to win all that she desires. 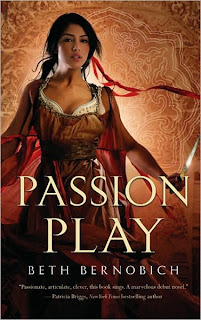 Source: Info in the About Passion Play was taken from GoodReads at http://www.goodreads.com/book/show/3292046.Passion_Play on 12/10/10. 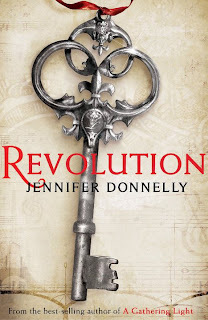 Source: Info in the About Revolution was taken from GoodReads at http://www.goodreads.com/book/show/7558747-revolution on 12/10/10. Sixteen-year-old Katla has just moved from Los Angeles to the sticks of Minnesota. As if it weren’t enough that her trendy fashion sense draws stares, she learns to her horror that she’s a member of an ancient order of women who decide to whom certain babies will be born. Add to that Wade, the arrogant football star whom Katla regrettably fooled around with, and Jack, a gorgeous farm boy who initially seems to hate her. Soon Katla is having freaky dreams about a crying infant and learns that, as children, she and Jack shared a near-fatal, possibly mystical experience. Can Katla survive this major life makeover and find a dress for the homecoming dance? Drawing from Norse mythology and inspired by The Snow Queen by Hans Christian Andersen, debut author Wendy Delsol conceives an irreverent, highly entertaining novel about embracing change and the (baby) bumps along the way. 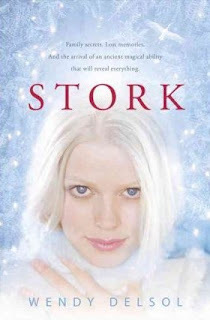 Source: Info in the About Stork was taken from GoodReads at http://www.goodreads.com/book/show/7638313-stork on 12/10/10. The world is only half made. What exists has been carved out amidst a war between two rival factions: the Line, paving the world with industry and claiming its residents as slaves; and the Gun, a cult of terror and violence that cripples the population with fear. The only hope at stopping them has seemingly disappeared the Red Republic that once battled the Gun and the Line, and almost won. Now they’re just a myth, a bedtime story parents tell their children, of hope. Source: Info in the About The Half-Made World was taken from GoodReads at http://www.goodreads.com/book/show/8198773-the-half-made-world on 12/10/10. 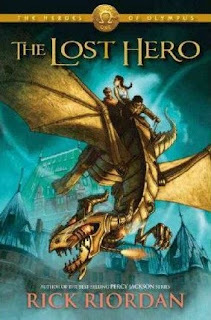 Source: Info in the About The Lost Hero was taken from GoodReads at http://www.goodreads.com/book/show/7736182-the-lost-hero on 12/10/10. 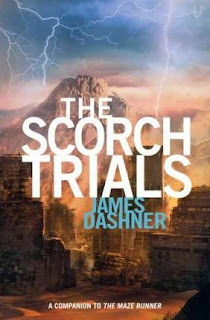 Source: Info in the About The Scorch Trials was taken from GoodReads at http://www.goodreads.com/book/show/7631105-the-scorch-trials on 12/10/10. I can only drool because I do not have the money to buy all of that! What does these releases tell us? That the market is now inundated with YA and urban fantasy books... old news really... That there is actually a great demand for YA and urban fantasy now? Probably... me being an urban fantasy geek, who am I to argue with that? That the competition is becoming ever fiercer? Yeah, because I could not afford all of these books, I have to pick and choose which ones to buy... What do you think about this flood of YA & urban fantasy? AWESOME list! 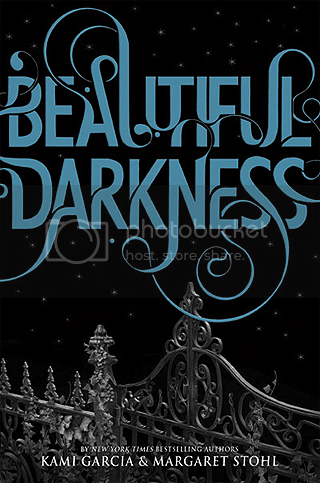 I ordered Beautiful Darkness but I'm going to have to add a couple more to my list too! P.S. - I can't wait for Jim Butcher's Ghost Story! I reallly want Stork and look forward to trying Hillary's book. I really loved Hold Me Closer, Necromancer. Luckily it didn't break the rule of my blog title, though! my blog shine. Please let me know where yyou got your theme.